Marcola customers, get your forms here for Paperless Billing (get bills via email) or our Auto Pay (free ACH debit from your bank account! Click the links to download and print out the application forms. Extreme heat is forecast for the next week. See tips for more efficient outdoor watering under the Water Conservation menu. Stay cool and stay safe! Lane County will hold a Special Election on May 19. This will include voting on several Commissioner positions for both Rainbow & Marcola. Starting this month, most Marcola bills will see a small base rate increase of $1.50 per month and $0.10 per unit used. Copies of the 2013 water quality report go in the mail today. Click the link above to see it now! We are seeking applicants for the Marcola Water District Budget Committee. Contact us at the Rainbow office if you are interested! Daylight Savings Time ends on November 3rd. With darker evenings it is harder to see people walking in the neighborhoods. Please remember to drive slowly and carefully. Thanks! The enrollment period for Budget Billing is now open. Download the form and submit by September 30. Summer is here! With the arrival of hot weather, the demand for water rises. Please click on the Water Conservation link to review tips for using water wisely. Spring is a time when things are new and fresh! Rainbow has updated our logo to one that is easier and cheaper to print. This month we also updated Marcola's annual water quality report. This month we add a new feature, allowing you to pay your bill online for a fee. Click the PAY NOW button above to go to the website of Official Payments, our third party provider. Our bills have a new look this month! We are adding features to offer you more tips and information. LCOG, the Lane Council of Governments, coordinates an emergency contact network that allows you to receive emergency alerts to your cell phone if a hazardous situation takes place in your area. Click on the link to SIGN UP. Please note the new links, allowing you to monitor river levels and road hazards. 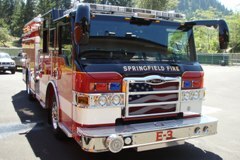 You can also sign up to receive calls or texts to your cell phone to get emergency alerts. Click on SIGN UP for more information. Welcome, Marcola! This area will be used if there are any particular announcements that we need to share with you. Save this page as a favorite on your web browser, and remember to check back regularly! Established by a 1940 Lane County election, Marcola residents chose the first five members of the Board of Commissioners and voted to form the district for the purpose of supplying water for drinking and household use. The district also has authority to manage a small system of streetlights and storm drains. 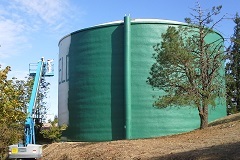 Rainbow Water District has managed the Marcola Water District since 1994. We appreciate our partnership with the community of Marcola, and are pleased to recognize that the Marcola Water District earned an Outstanding Performance award at their last public health inspection! 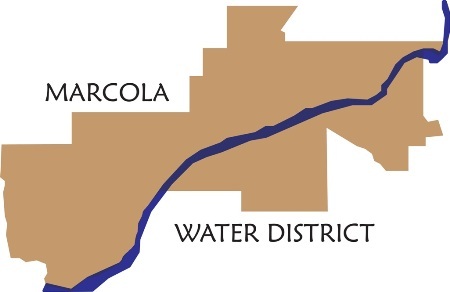 As of July 2018, the Marcola Water District Board of Commissioners regularly meets on the third Wednesday of every month, beginning at 6:00 pm, at the Mohawk Valley Rural Fire District, 92068 Marcola Road. The Budget Committee, which consists of the Board of Commissioners plus up to five additional appointed members, meets during the months of April and May. The district uses a fiscal year of July 1 to June 30. Financial statements are reviewed annually by an independent auditor. Marcola's Water System utilizes a system of six wells and two reservoirs to serve about 200 homes. Marcola Water District employs one part-time operator to perform daily operations and maintenance, with assistance from Rainbow staff for office support and larger repairs. Download the 2017 Water Quality Report for water quality information. See our conservation page for ways to conserve water.